MSI and Phanteks launch new front panel USB 3.1 Gen2 Type-C solutions to provide the fastest front panel USB ports unlike any other offerings in the market today. The collaboration between MSI and Phanteks aims to introduce the new industry standard USB 3.1 Gen2 Type-C connectivity to the standard front panel found in most cases today. Phanteks will be introducing a new high tower chassis soon, the Phanteks Enthoo Elite which would be featuring the said USB 3.1 Gen2 Type-C front panel solutions to satisfy the current PC enthusiasts’ need for speedy transfer rates and the latest connectivity options. Phanteks Lead Product Designer and MSI Product Development Manager made statements below regarding this new development both brands are working on. 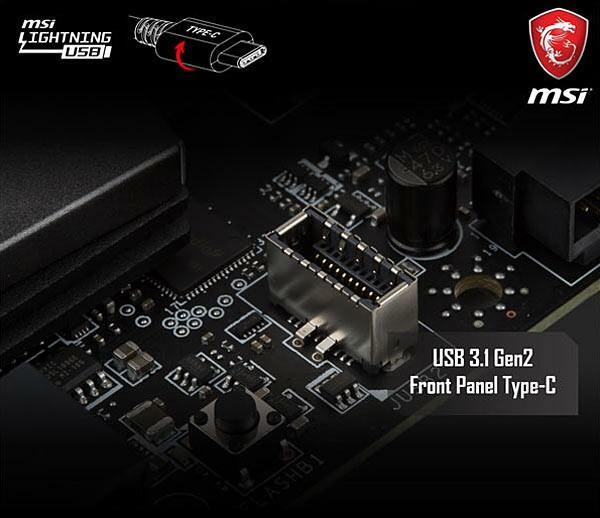 "Matching perfectly with our new high-end chassis products is MSI’s new GAMING M7 motherboard, which fully supports our new Front Type-C solution by including a USB 3.1 Gen2 Front Panel Header for Type-C. Powered by MSI’s Lightning USB, this allows you to reach speeds up to 10 Gb/s and fast charging for devices from the front Type-C connector.” said Boon Tuoh Khor, PHANTEKS Lead Product Designer. “We always strive to offer something unique which brings tangible benefits of cutting edge technologies to gamers. As a result of our continuous efforts, great partnerships like with PHANTEKS lead to better products for everyone to enjoy.” said Andrew Chang, MSI Product Development Manager. The new Front Panel USB 3.1 Gen2 Type-C products from MSI and PHANTEKS will soon be released.